T-Mobile CEO Philip Humm met with senior FCC officials last week to discuss T-Mobile’s actions to block the Verizon Wireless proposed acquisition of AWS spectrum from various cable companies. While Verizon and T-Mobile have already traded barbs over this deal, Humm’s meeting with FCC officials comes after Verizon proposed to sell off some of its 700MHz spectrum holdings to mitigate the negative effects of any of its deals with the cable companies. While CEO meetings with FCC officials are not uncommon in these matters, the idea that T-Mobile CEO Philip Humm meet with the FCC shows T-Mobile’s level of commitment to block this deal. FCC spokesperson Neil Grace said the agency did not have any comment on Verizon’s proposed 700MHz sale. ← What’s The Next Samsung Android For You? Galaxy Note Or Galaxy S III? America needs “use it or lose it rules” for spectrum. Sequestering spectrum is anti-competitive, wastes spectrum, and the only real basis for carriers “running out of spectrum”. You know they’d do it if they could just to block others from getting at it. I agree… give them so much time to use the spectrum and in away that helps the customers. If you fail to use it to improve upon what you already have by not using the spectrum then maybe the government should be able to take it and split it off to everyone who wants or needs it to approve upon their network. Maybe have it to where the ones who need it need to give reasons to why they need it and what they will do with it once they get it. Again, they will have a timeframe to use it or run into the same fate as the last owner of the spectrum. And I am not saying the government will own it but have control over it while they find a suitor. Like an orphanage for spectrum that doesn’t a carrier. Humm does have a point, I’m confident it would be blocked. Why the attempt to buy more AWS spectrum while u haven’t used the one u are hoarding for six years? Seems like a deliberate effort to keep this vital AWS spectrum from Tmo buying it bcuz it is the type of spectrum they desperately need to build out their LTE. Looks like an indirect way using ur $$$$ to stifle competition by preventing ur competition from improving their network. Tmo has shown how innovative they are with spectrum use…they took the lead on HSPA+ and now they are leading the way on refarming efforts to maximize the limited amount of spectrum. Kudos Tmo…now just make sure the One X with vanilla ICS and the GS3 hopefully with vanilla ICS as well are on our Network in the next few month. Two must have devices to compliment the One S and add to our line up..also get the Lumia 900 for our Windows phone lovers and the iPhone 5 for our iOS customers. With five or so marquee devices and the improvement on our Network…i see good things happening to Tmo down road. Why does T-Mobile care? They just tried to sell the company and they are now cutting jobs left and right at the same time giving upper management more raises. Let Verizon take over, least they care to provide good coverage and handsets to their customers. T-Mobile cares because Verizon is just hoarding spectrum, not using it. T-Mobile could better utilize this spectrum than Verizon could. Verizon is also getting an even more unfair position in the marketplace because of the resell deal with the cable companies. This will give them even more of an opportunity to jack their already-crazy prices even higher. It’s getting to the point that you have to wonder what is running through the heads of Americans when they’re paying 5x what the rest of the world is for phone service and they don’t even notice. you would probably be the first to live up to your name “Crybabies” when you see that first Verizon bill, and crap your pants. this is actually a smart move by t- mobile because verizon is willing to sell all their block a and b 700mhz spectrum licenses in order to get the new spectrum from the cable companies. verizon knows that t-mobile, leap wireless, and metro need spectrum the most so that’s the first companies they will talk to. my point is if these 3 companies flat out say no it will be the same as when att was willing to sell some of t-mobile’s customers and spectrum to metro, dish, and leap wireless in order to get the att/t-mobile deal approved by fcc. That deal got rejected shortly after they flat out said no just like this deal will get rejected if they say no also. Verizon is an evil genius. Make it look like they are not trying to hog spectrum, by selling away their A and B. 1st the A has many problems with interference with areas broadcasting on channel 51, and the spectrum has a 35% min buildout by mid 2013 requirement. They know they are not going to build it out, so now they are trying to throw the burden on to metro, USCC or ATT. Also the spectrumCo Spectrum is 20mhz almost nationwide. Add that to their current AWS holdings, and they would have at least 20mhz nationwide with 40mhz east of the mississippi river and hawaii. They are not doing this to block att or tmobile, that is just Icing on the cake. the 700mhz is good for building penetration, but the antennas needed in the phones would be too big to fit in feature phones. AWS would allow them to build smaller VoLTE feature phones, which means freeing up their current spectrum. Plus they would have more spectrum than anyone. It would be very hard for anyone to compete. Even ATT would have trouble competing. FCC has to block this. Then why isn’t AT&T complaining to the FCC? The more complain the better chances of it being blocked. I doubt they care. If it is blocked, they will try and bid on it, and if it is not blocked, then they will go on a little buying spree. they still have 36 billion not spend after the tmobile deal. Also ATT and Verizon seem to have an unspoken pack to not go against each other. Verizon did not block ATT when they tried to get tmobile. 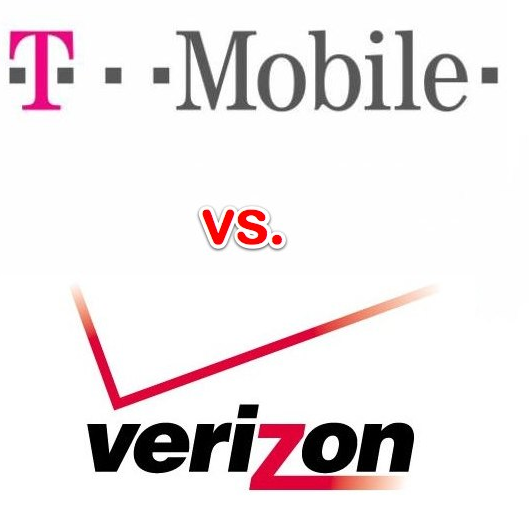 I believe ATT and Verizon would rather compete against each other than have tmobile and sprint come in a ruin the price raising party. Plus I believe the FCC will start imposing more restrictions on Spectrum auctions, so Verizon might get forced to sit out of future auctions, which leaves ATT as the lone big dog to reap the benefits. Also to answer your other question, Sprint has spoken out against the buying of the spectrum. They might not be as vocal, but they have voiced their concern, plus they are actually suing comcast and cox for patent infringements. The RCA is also voicing their concerns. Once a monopoly, always a monopoly wanna be. This deal is negative in all aspects. I just don’t understand why AT&T and Sprint aren’t telling the FCC to block this deal. Atleast they know they have to be a thorn on the side of AT&T and VZW! However VZW played their cards right by making being conditional with the sale. I wonder if this will be enough to throw a wrench in VZW’s gears. If the FCC were to let the deal pass, they need to mandate interoperability (Verizon probably won’t like it as much). AT&T is going to say anything just like Verizon said nothing about AT&T’s deal because of the scrutiny it could cause for them. Sprint could still say something, but I doubt they will, it’s only spectrum.